Osteoporosis is not the end all of health complications. It can be reversed with well-disciplined exercise. Osteoporosis is a condition in which bones lose density, become fragile and susceptible to damage. As people age - along with a poor diet - they become more susceptible to osteoporosis. 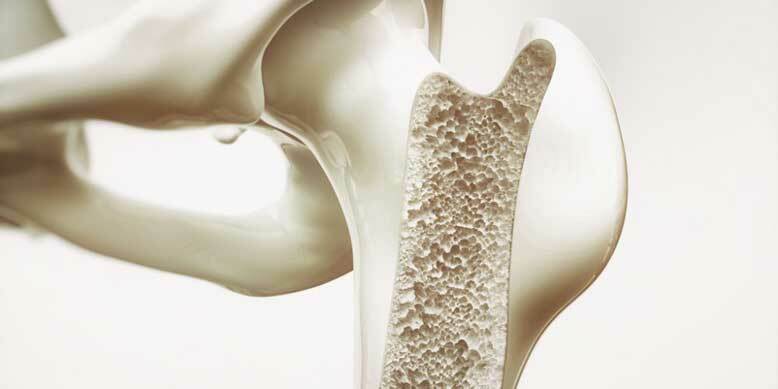 Around 44 million U.S men and women aged 50 and over suffer from osteoporosis or low bone mass. Osteoporosis can lead to hip fractures. Around 25% of people with hip fractures die due to complications post-injury. So how can we prevent osteoporosis? An excellent option is exercise. Exercise helps strengthen bones and even increases bone mass. For people who are already suffering from osteoporosis, exercise may help prevent further bone mass loss. As such, exercise isn’t only about muscle building, but it is also about bone building! The best kinds of exercise for building bone mass are weight lifting and resistance exercises. Resistance exercises include resistance bands. Weight lifting includes anything from leg presses to dumbbell exercises. The weight you put is not only on your muscles, but on your bones as well. The resistance and pressure that is put on your bones signals to your body that it must increase the mass of your bones in order to better protect them from injury. This is how wonderful and amazing the body is. When weight lifting, you should make sure that you exercise all parts of your body. Start with light weights and make sure to exercise at least two to three times a week. Over time, add more and more weights to your exercise routine as you get stronger. Remember that for building muscle and bone mass, it is always better to do lighter weights with higher repetitions. Make sure that you give enough time during the week for your body to recover. Before you start any exercise, make sure to speak to your doctor and see what is safe and right for you.